Floor cleaning is the fastest easiest way to spruce an area up in anticipation of visitors or patrons. 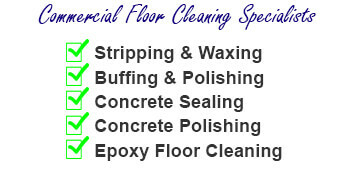 A clean floor is a healthy and wise investment for any Lexington KY based home or business owner. We have professional grade tools and truck mounted equipment that allow us to clean any size or kind of floor. Our residential and commercial cleaning customers are provided peace of mind with our 100% satisfaction guarantee. We are a customer oriented company with a history of relationship building. Hire us to clean your floors, and in all likelihood you will end up using our company exclusively to do all of your future cleaning projects. Success feeds on itself and we’re anxious to show you what we can do. What Types of Floor Cleaning Services Do We Provide? Wood Floors: We clean wood floors of all kinds. Hardwood, Engineered Wood, and Laminate wood floors. Tile Floors: We clean all types of tile floors including Ceramic Tile, Porcelain and Non Porcelain. We also provide Natural Stone Tile cleaning services, including Granite, Marble, Limestone, Travertine, and Slate tiles. Commercial Floor Cleaning: With our commercial clients we see a lot of Vinyl Composition Tile, and Linoleum flooring. Some business’s have man made stone flooring and we also clean these. We also see and clean rubber flooring in a lot of business’s. Regardless of what ever floor covering you have we can and do clean it. Floor buffing, stripping and waxing. What Types of Business’s use our commercial floor cleaning services? We are a Lexington KY based company, but our services are available in a 30 mile radius around Lexington that includes the cities of Richmond, Georgetown, Frankfort, Winchester, and Nicholasville KY. 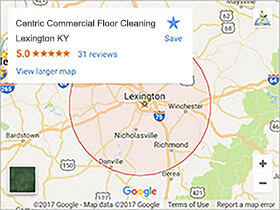 If you would like to get a free estimate on any upcoming floor cleaning project in or around the Lexington Ky area it’s easy. Just call our office at 859-396-1718 or use the CONTACT US FORM here on our site. 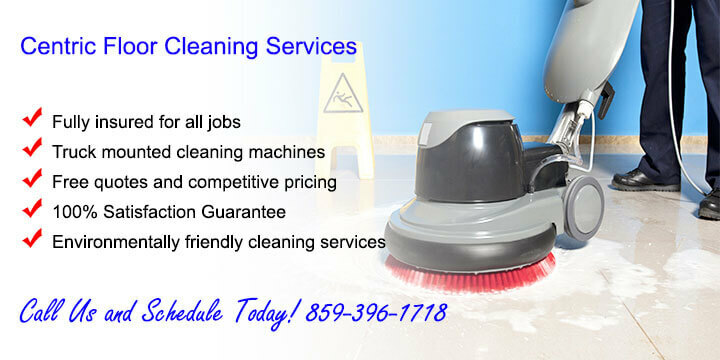 We’ll schedule a time that’s best for you and quote you fair and accurate pricing on your up coming floor cleaning project. We look forward to hearing from you! Wiki is a great resource for information on the topic of floor cleaning.